Using the right colors in any artistic composition (including embroidery) can reinforce and enhance the message the design is trying to communicate. This is an area where many of us feel uncomfortable, but color, with its different relative visual weights, can balance and unify a composition. Knowing how color works in the physical atmosphere can help a you simulate reality. Color can also elicit an emotional response from the viewer through combinations that have cultural significance. For example, red, white and blue evoke certain feelings in Americans, as does the combination of red and green for those who celebrate Christmas. Some colors and their ascribed meanings are cross-cultural. White signifies purity or peace in many cultures, for example, while other colors represent similarly universal concepts. Most people would agree that blue means water, black means night, yellow signifies the sun or day and red can mean blood or violence. Be aware of unintended messages in your choice of a color palette, yet work to strengthen the overall message of your embroidery with the choice of the right colors in terms of meaning and aesthetics. No shape should be just one color. Pattern or pseudo-pattern can be a very effective way to make a visual field understandable. 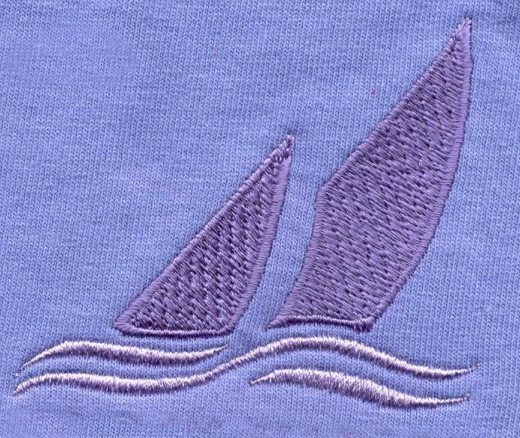 If you're embroidering with a multi needle machine, choosing two colors very close in hue to define a shape will enrich the composition in subtle ways. However, be consistent in the organization of the two colors. For example, use a lighter shade on the left side of each shape and a darker shade on the right side of each shape. Your consistency in pattern will make your composition more understandable to the viewer. If additional needles are not available, experiment with the proximity of the stitches to create patterns. 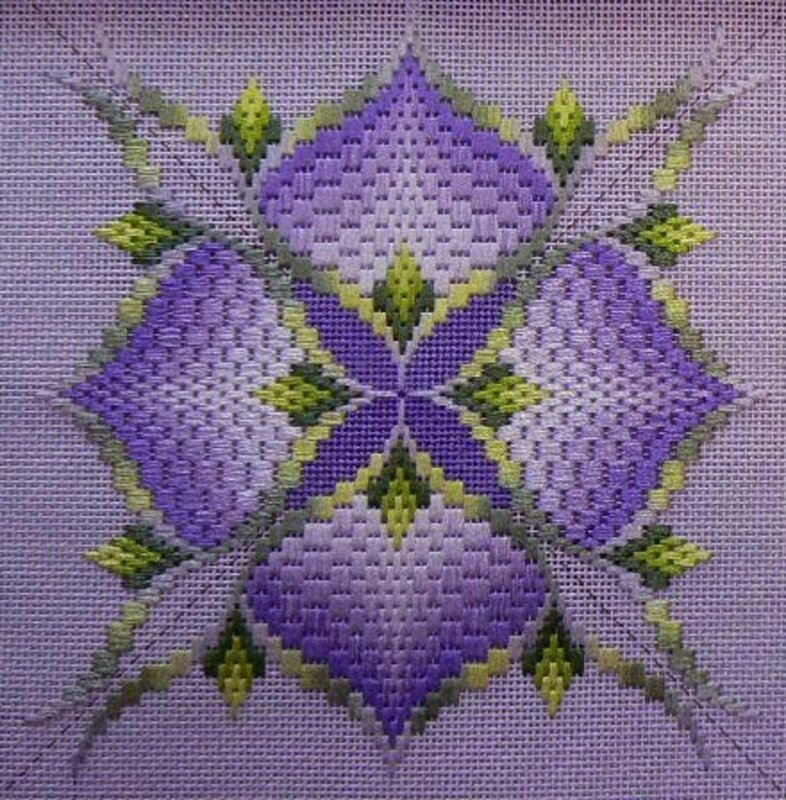 Design a sparing fill stitch so the background fabric shows through on the left side of each shape, then densely fill the right side of each shape. This results in two colors because the fabric color combines with the thread color and creates a new color on each side of the shape. If it is not appropriate in your design to play with the density of the stitches, try changing the orientation of the stitches in part of the shape. If you change direction systematically on each shape of an individual color, a subtle richness will be built in. There are a variety of rules for using color in a design. Certainly, they are strategies for gaining clarity in your work, but they can also be cast aside sometimes. Breaking the rules of color and design can successfully add interest to your composition, but two things must be remembered: First, you must be fully aware of the rules. Second, you must break them systematically. If you are working with a strict pattern, you will, of course, assign the same color to the same shape every time it occurs. Pattern is basically a strict repetition, but some loose repetition must exist in any good composition. Colors or shapes should not be used just once; they should be repeated in some way throughout the design . The repetition of similar shapes or colors in a design helps the viewer understand its construction. A viewer's eye jumps from one similar shape and color to another similar shape and color until the whole composition is examined. 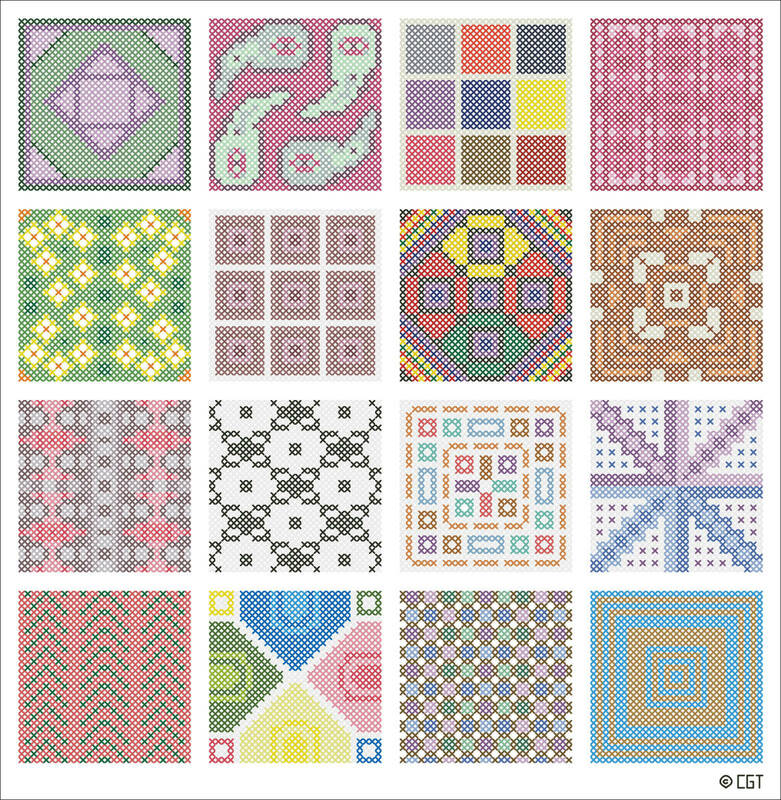 Your challenge here is to use similar shapes stitched with colors close in hue, while varying these shapes and colors in some slight way. If this feat is accomplished, your composition will feel balanced, while exhibiting richness and variety through manipulation of slightly varied colors. You must always ride the fence between unity and variety when choosing colors. It is a popular observation that when all other things are equal in two compositions- line, shape, texture, organization- the most compelling designs employ complementary or nearly complementary color schemes (colors across from each other on the color wheel) in a featured role. These compositions can be very dramatic. They feel full and well-prepared, probably because they reach out and integrate the full range of the spectrum. Conversely, the most quiet and unassuming compositions approach being strictly analogous (colors next to each other on the color wheel). This does not mean you should use equal amounts of complements, such as red and green, in a design . Aside from this combination blaring "Christmas" to many viewers, a composition could be made too bold by using fully-saturated red and green. A better combination is a small shape of red in a field of light or muted green. You would still be working with complements, but omitting cultural and even physical associations. 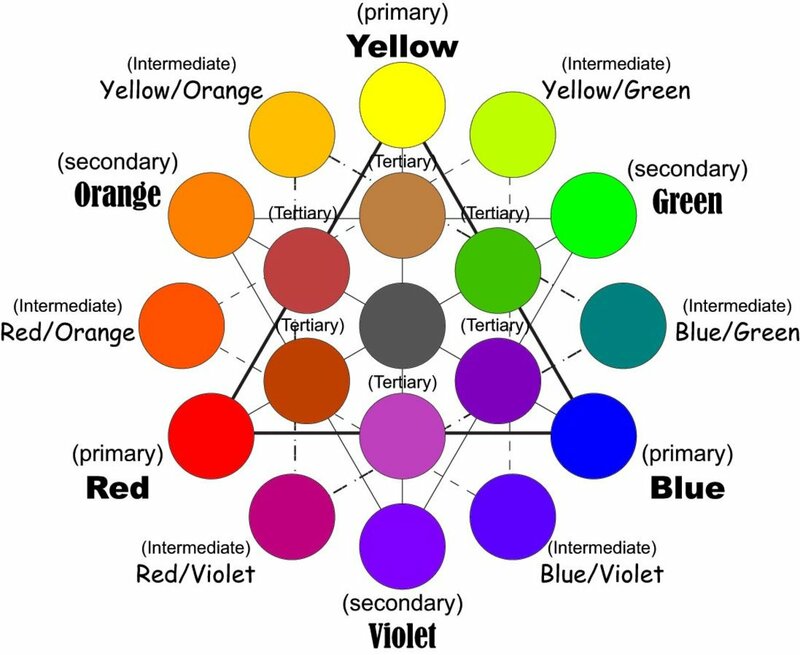 Also, colors across from each other on the color wheel , used in equal saturation and equal amounts, will vibrate in the composition, which can be unsettling for the viewer. You may choose seven beautiful and expressive colors for your design. However, when they are assigned to shapes within your composition, a battle occurs, and none of the former qualities of the colors emerge from the stitched work. This is a common mistake. Remember that color is relative; all colors in the composition are modified by all others. Look on your color charts for muted colors with tones from your featured color's complement. Muted colors will make your featured colors more alive and prominent. Do you want to throw a certain shape or word towards the viewer, emphasizing its importance? Surround a fully saturated color or shape with a muted color. The muted area will recede, and the fully saturated area will pop out at the viewer. Just as pattern provides structure for a design, knowing how color acts in the physical world and applying that knowledge to an embroidery will make the design more understandable, and therefore, more successful. Our knowledge of gravity makes us want to find heavier and darker shapes near the bottom of our compositions. One shape overlapping another tells us the first shape is closer. Relative size of the shapes contributes to whether they appear closer or farther away, bigger shapes being dominant and, therefore, closer. A second option for placement of shapes in space is to make receding shapes darker. (What we know about atmosphere and lighting tells us that brighter shapes appear closer, and dull or grayer shapes recede on the picture plane.) Whether your choice is to darken receding shapes or make them grayer, be consistent throughout your design. The goal is clarity and an understandable compositional field. Plain, undecorated fabric and dense embroidered shapes are difficult elements to integrate into a single design, but if you can do it, you add an additional color to your palette and have actual shapes, not stitches, adding to your composition. 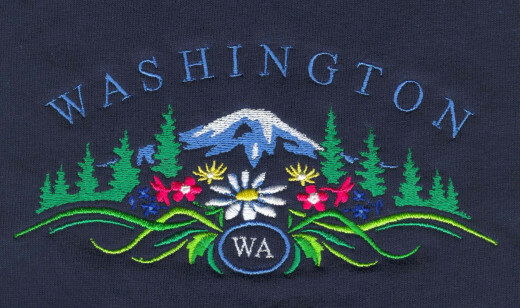 Today, many apparel manufacturers design their pieces with the intention of being decorated with custom embroidery. 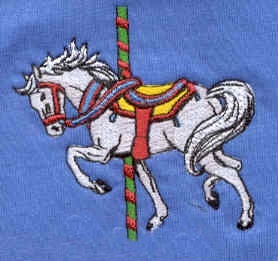 Popular styles such as polo, golf, or knit shirts are often kept relatively simple so that the fabric will not clash with additional embellishment. Today, many shirt styles can have as many as twenty or more different color variations, making it much easier to find the perfect hue to match a specific embroidered design. If this doesn't seem possible, find an area of the composition where you can mimic the fabric color. This will help integrate the embroidery with the fabric. Taking risks in design and color is the only way to grow and gain experience. Taking risks is how important compositional breakthroughs are made. In art, one of the most difficult things to do is criticize your own work. If you try an idea and find yourself endlessly rationalizing your choice, it is probably not working-no matter how hard you wish it would. Save yourself a lot of time by trusting that initial feeling, and try another approach. 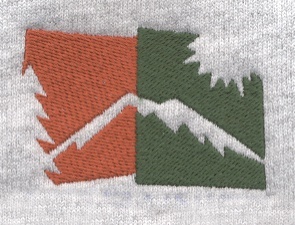 Another common problem is when a new embroiderer tries to put every technique he or she knows into one embroidered design. This often comes from intense excitement about what he is doing, but art is usually a case of "less is more." Choose one idea and one method to convey that idea, and save the others for new designs. After all, the final goal of the work is clear communication with the viewer. 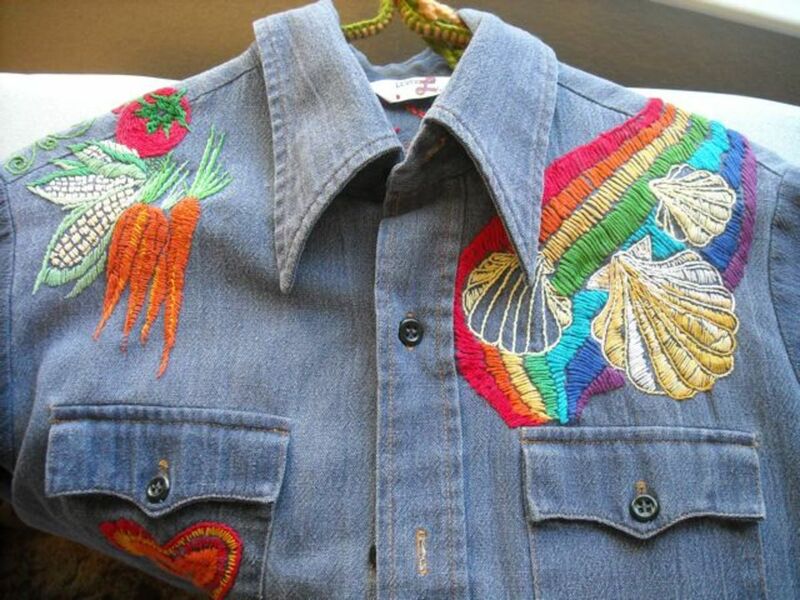 One of the most exciting aspects of machine embroidery is the opportunity for artistic use of color. Picking the right thread colors for your fabric can take a basic design to a new level. 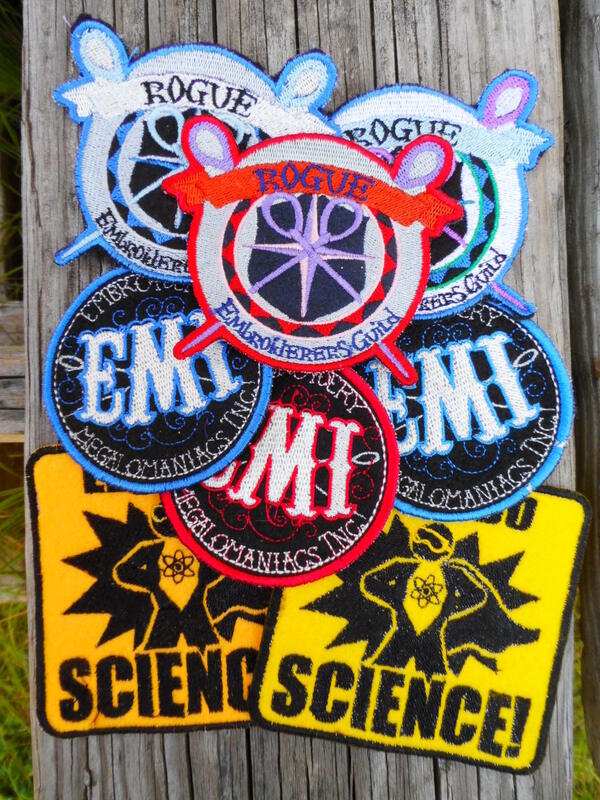 A blog for folks interested in commercial embroidery. Technical tips, marketing ideas, and more. These are lovely pieces. 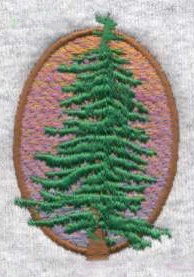 I used to embroider, but stopped somewhere along the way. It really is relaxing and you can make so many neat things. When I'm not sure about colors, I think about nature, a sunrise or sunset, or how it looks in storm, and that usually helps.